Each place card is professionally printed with your guest name(s) and table number. 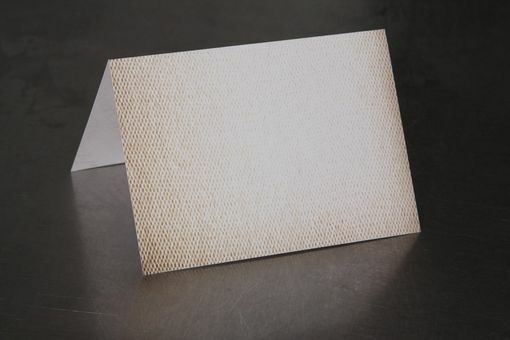 This place card has a textured look background that makes it look like they are printed on leather or burlap. 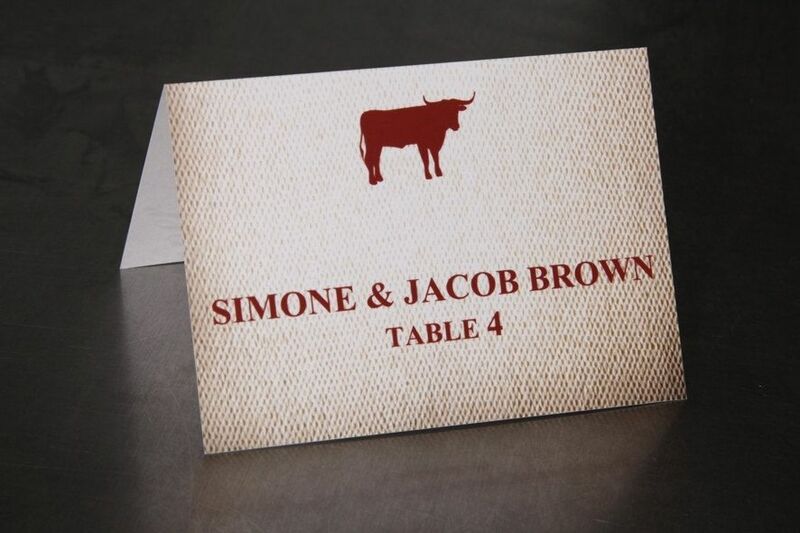 The bull, text, and font color can be changed to suit your color palette. Convo with your colors and I will send you a free color proof.